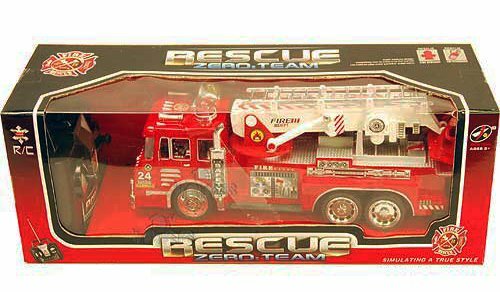 R/C Radio Controlled Rescue Fire Engine w/ Siren Lights. 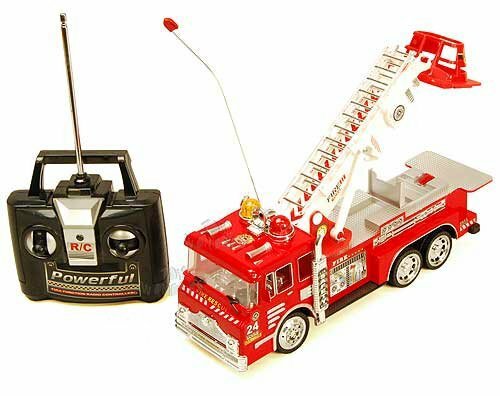 This remote controlled Fire Truck is 10.25″ long with full function, retractable & 360 degree turn-able lader. Includes transmitter. 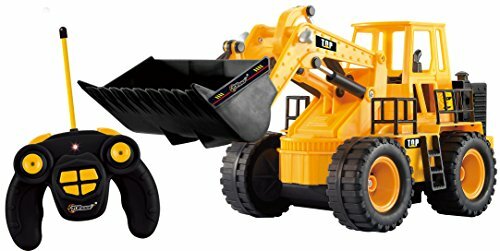 Requires 3 “AA” and 1 “9V” batteries (not included).Box size: 13.75″L x 4.5″W x 5″H. Frequency is 27 mHz. Ages 3 and Up.